Following on from my previous obelisk post I went out to photograph the two ironstone obelisks on the site of the old Eston miners hospital. 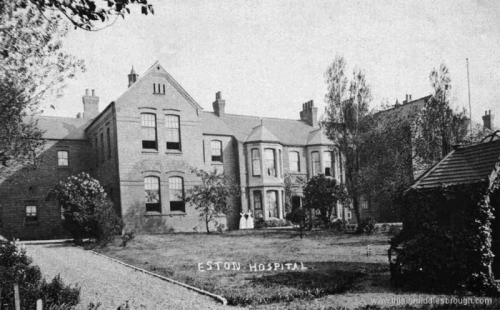 They were removed when the hospital was demolished in 1980 and returned in 2004. They are identical to the two outside the town hall, so i’m unsure where these two went or if there were four at the town hall ? These were moved on a sunday from the town hall and erected at the old hospital site. I recall the event well because I had no idea as to how they were fixed down or whether they would break when we slung them. In the event all went well. As I’ve just commented on you other obelisk post, there were six of these made, two at Eston and four at Cleveland House, South Bank, which moved to Fabian Road when the town hall was built. These are two of those four, the one at South Bank and the missing one are from Eston Hospital.